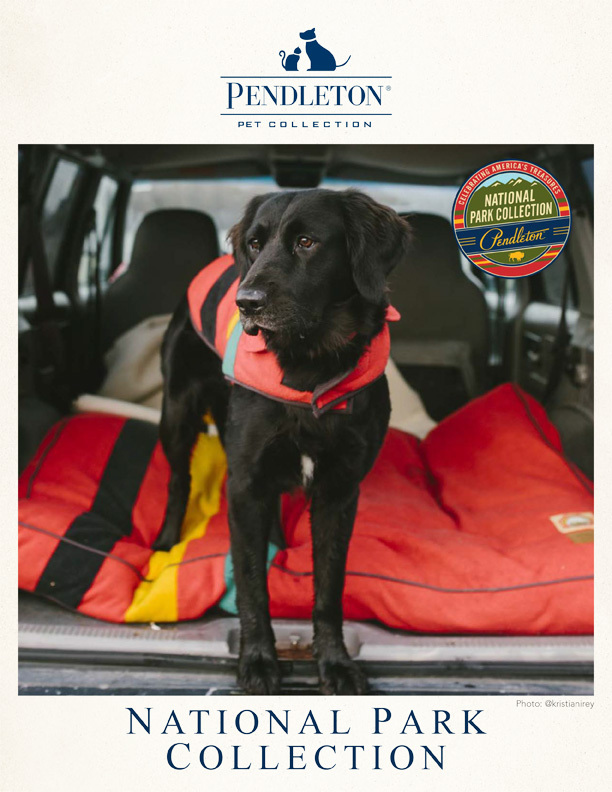 Since the early 1900s, Pendleton Woolen Mills has honored America's National Parks with a collection of distinctive park blankets. Glacier Park National Park Blanket was one of the first. Its historic markings and colors date back to the frontier trading posts. Traders would indicate the weight of the blanket offered in exchange for furs by holding up one finger for each pound. The original blankets incorporated three, four or five black stripes in the design, which indicated the value of the blanket. Colors and variations of the original striped theme have been adapted to reflect distinguishing characteristics of each park and blanket in the collection. National Park Blankets are still woven at the original Pendleton Woolen Mill in the foothills of Oregon's Blue Mountains, just as they were more than 100 years ago.